A week ago, finished third Pro-Kart round that set a new record for the number of participants. A total of 178 karting drivers participated in the competition from Latvia, Lithuania, Estonia, Russia, Belarus and Ukraine. Race results can be foundunder tag "Races" or on MYLAPS website. 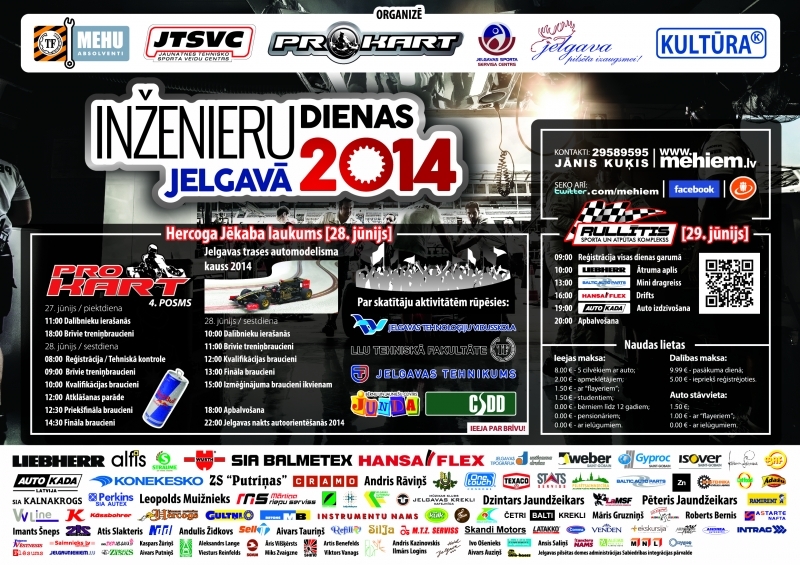 It is created and approved street racing track in Jelgava. More detailed information about the track can be found here. There are not-too-encouraging news from Kandava - this year on this race track is not longer allowed to hold karting events. For this reason, Pro-Kart sixth round is moved to Madona. If <a href="http://xjkmfdl.com">inioomatfrn</a> were soccer, this would be a goooooal! BS low - <a href="http://cezbhq.com">ranattilioy</a> high! Really good answer! Good day I am so happy I found your webpage, I relaly found youby error, while I was looking on Askjeeve for something else, Nonetheless I am here now and would just like to say many thanks for a tremendous post and a all round entertaining blog (I also love the theme/design), Idon’t have time to go through it all at the minute but I have bookmarked it and also added your RSS feeds, so when I have time I will be back to read a lot more, Please dokeep up the superb jo. Never would have thunk I would find this so inlpaienssbde. No kurienes notiks iebraukšana slēgtajā parkā? Vai ir iespējams kaut kur redzēt kopvērtējumu??? tur pat kur sacensību rezultāti MyLaps weblapā zem "Championships"
tad jau atkal pa vienu trasi latvija mazak.